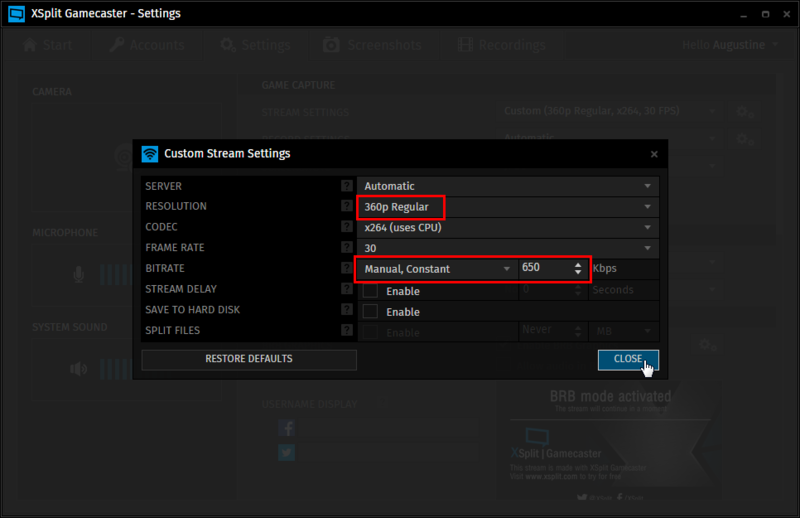 Support > XSplit Gamecaster > Frequently Asked Questions > Advanced > Can I manually set a resolution and bitrate for live streaming? Yes, you can manually set a resolution and bitrate for live streaming but be warned that you may need to do a bit of experimentation to find out what’s appropriate for your setup. 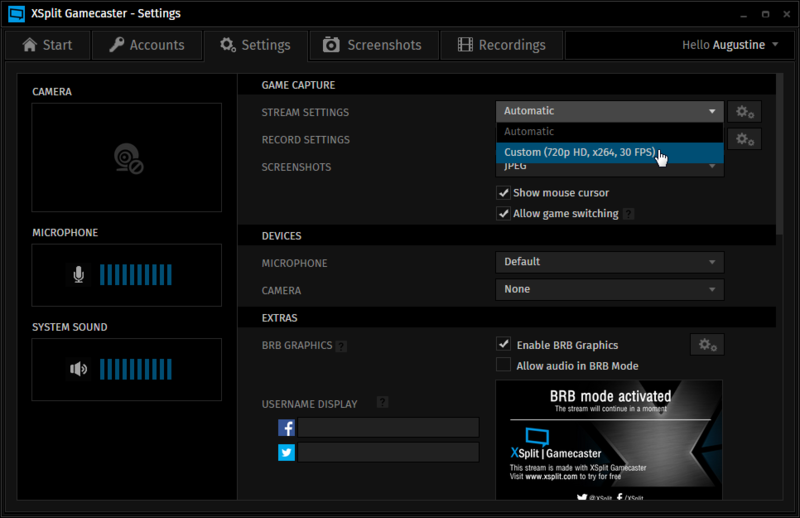 If you do not want to deal with the technical details for resolution and bitrate, please use advanced mode instead. You may select from one of the preset resolutions ranging from 240p to 1080p (these are 16:9 resolutions which are generally compatible with the supported streaming services; YouTube Live does not support 540p). If the resolution you select consumes too much CPU power, try the next lower resolution (e.g. if 720p is too much for your CPU, try 540p) until you find one that your CPU can handle. 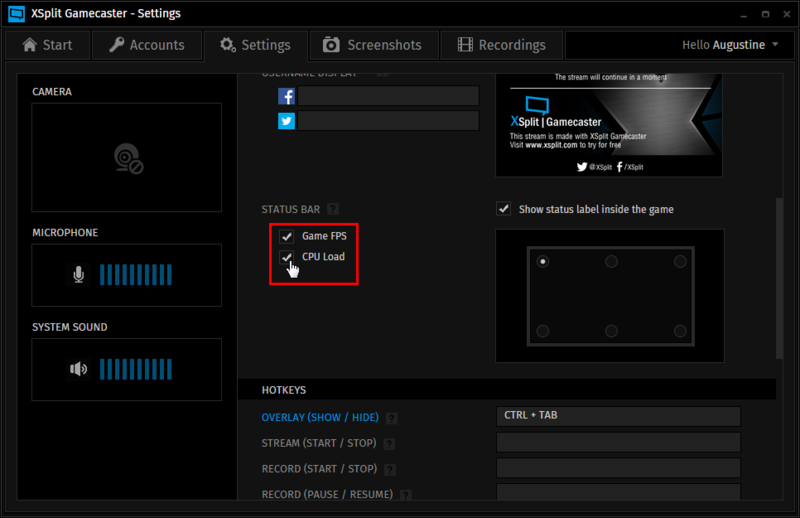 Finally, go to your game and try to stream it with your selected resolution and bitrate. If it seems like it’s consuming too much CPU or internet bandwidth, go back to the Settings Tab and make the necessary adjustments to your streaming settings.